Believe the tabloid cover, people: Robert Pattinson and Kristen Stewart may totally be getting married! According to the latest issue of In Touch Weekly, there is no debating the status of this formerly estranged couple. “They are inseparable and 100 percent back on,” a friend tell the magazine. Robert Pattinson, Kristen Stewart Talking Marriage? But don’t expect Rob and Kristen to go all Kim Kardashian and Kanye West on us. They may actually tie the knot without inviting a single camera to the ceremony. Unfortunately, Pattinson’s friends are frowning on the relationship, believing Kristen is “toxic” for the star and that he shouldn’t forgive her for that affair with Rupert Sanders. But the heart wants what the heart wants. And did anyone ever doubt these two would find their way back to each other? 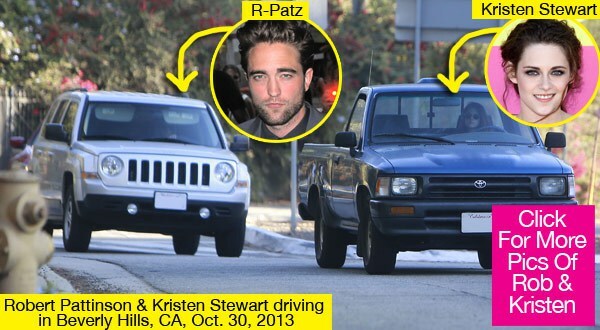 We’re so happy for Robsten! ← NINA AND IAN BACK TOGETHER?